Can you safely combine energy drinks with alcohol? You may have heard a recent report about combining alcohol with energy drinks funded by Red Bull - a major energy drink producer. The report, and the numerous researchers who wrote it, say the combination isn't harmful, even though the drinkers can drink longer and get more intoxicated. I'm not surprised that they would come to this conclusion. But how accurate is their conclusion? Other independent researchers with no vested interest in highly caffeinated drinks are concerned - they think these drink combinations may be much worse than these initial studies have reported. Many studies of mixing alcohol with energy drinks have resulted in "no harm" conclusions, but the studies may not accurately reflect just how much of the combination people are actually drinking. Peter Miller, associate professor of psychology at Deakin University in Australia, thinks this behavior is very risky. According to Miller, drinkers are combining alcohol and energy drinks so that they can drink for longer and achieve "higher levels of intoxication." While there isn't extensive research into just how popular this combination is, samples suggest that 73% of U.S. and 85% of Italian college students have had an energy drink mixed with alcohol in the past month. And when they do, they're more likely to have a higher blood alcohol concentration, keep drinking alcohol, engage in aggressive acts, be injured, suffer symptoms of alcohol dependence, get in the car with a drunk driver, or be a drunk driver themselves. When vested interest groups fund scientific studies, they should be carefully scrutinized for bias. In this case, common sense should prevail. Combining alcohol with caffeine is a dangerous situation waiting to happen. Miller is concerned that there is not enough research into just how dangerous the combination of energy drinks and alcohol can be. 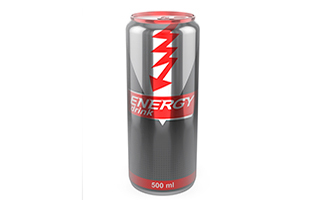 Most previous studies have examined only the effects of one energy drink on low levels of alcohol intoxication. At the 2012 Australasian Professional Society on Alcohol and Drugs conference, the vast majority - 80% - of researchers who had received Red Bull funding concluded that combining energy drinks and alcohol did not increase risk. But the independent researchers weren't ready to make that claim yet, feeling that we need more research. Miller worries that the Red Bull funding "inhibits our ability to have a fruitful public health discussion" and that it is "critical that the public can be confident in the findings of research." To Miller, funding from an interested party seriously undermines that confidence. The truth is that there isn't enough unbiased research in this and many other studies to come to a definite conclusion, but this debate teaches us something scientific about them. When they're funded by vested interest groups, they may be misleading and downright harmful. This is one of the under-reported aspects of scientific research. You have to follow the money, as it can skew the results of any study. The question remains: is it safe or harmful to drink high energy drinks with alcohol? Not, in my opinion, if even one person could be harmed. That's what you find when you take the bias out of the studies. I always screen the studies I quote in these articles and in my newsletter, Women's Health Letter, for bias - especially when their conclusions can be harmful. I don't want anyone being misled by parties with a vested interest in the outcome of research. Peter Miller, Associate Professor School of Psychology, Deakin University, Geelong, Victoria, Australia.